How to Get Away with Murder (HTGAWM) is an American drama television series that premiered on ABC on September 25, 2014. The above is the poster for the second season, which began airing on September 24, 2015 on ABC. 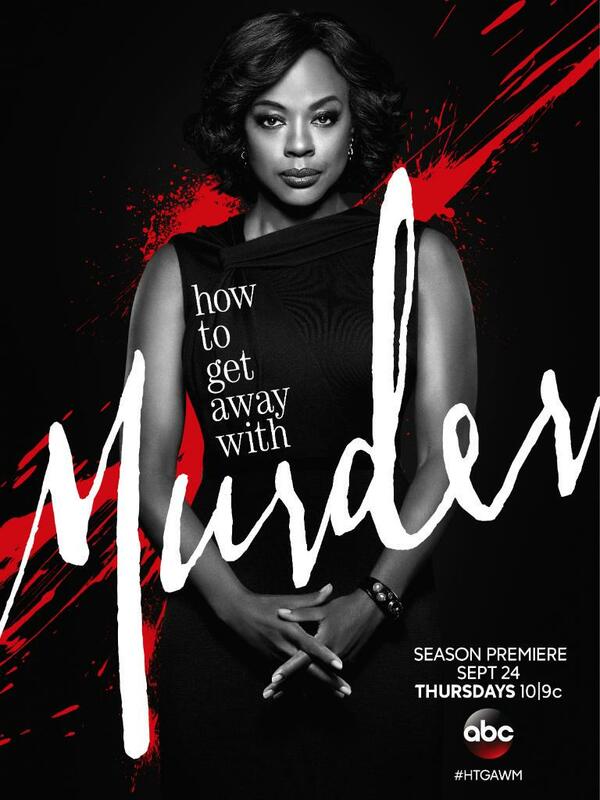 Two fonts have been used for the title of the TV series in the promotional poster above: the serif part is set in ITC Century Light Condensed by Tony Stan, and the script part (MURDER) is set in Saissant. Designed by Jessica McCarty, Saissant is a rough and modern hand-drawn font that was designed with multi-language support as well as contextual alternates and discretionary ligatures for a convincing calligraphic effect. The ITC Century Saissant font identified above is not available for free, please follow the link above and purchase the font. Meanwhile, you can take a look at our collection of fonts for cars, pop music and apparel as well as round-ups of new & fresh fonts around the web. In addition to How to Get Away with Murder, Saissant typeface is also used in the following logos, movie posters or album covers etc., including: Best Western, The Daily Show, Home Alone.